The Indian Ocean Company and Berry Bros. & Rudd Spirits are delighted to announce the release of the fourth batch of Penny Blue XO Rum. Named after the world’s rarest stamp, Penny Blue is distilled at Medine, the oldest operational distillery on Mauritius, dating back to 1926. The estate is situated a few metres from the sea on the west of the island, near Bambou. Doug McIvor, Spirits Manager from Berry Bros. & Rudd and Jean Francois Koenig, Master Distiller at Medine Distillery, have once again carefully handpicked a number of casks, choosing a few particular types at the peak of their maturity. The single estate limited edition XO 4 Mauritian rum is a vatting comprising rum matured in bourbon and whisky casks. The oldest rum in this batch is 11 years old and the youngest 4 years old. 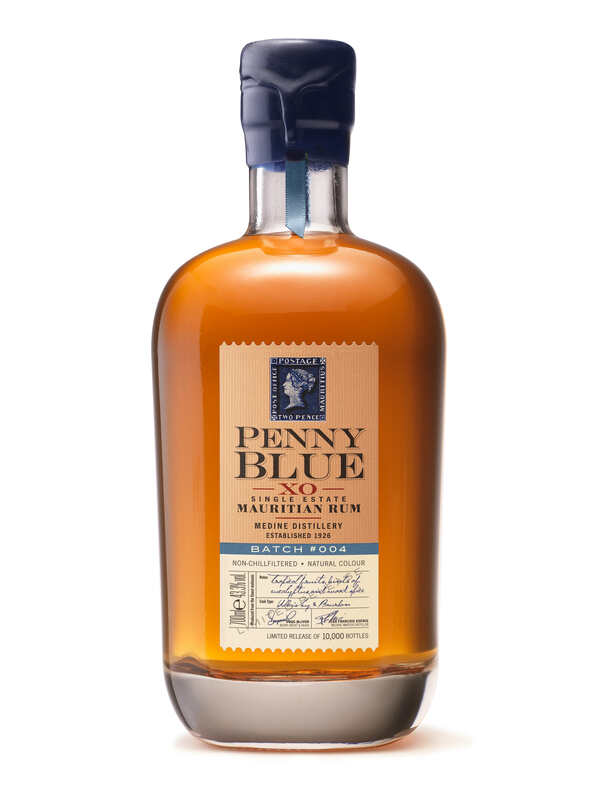 Penny Blue is a small batch vatted rum, it is natural in colour and un-chill-filtered. All the production happens on the one single estate: from growing the sugar cane to distillation, maturation and bottling. There is no artificial sweetening involved in the process. Nose: Tropical fruits, hints of eucalyptus and wood spice, citrus and vanilla. Palate: Nicely textured and succulent with some balancing wood spice dryness to the finish. Penny Blue XO Batch #4 is already a highly acclaimed, award-winning rum having received a Gold Medal from the Rum Masters 2015 before being launch in to the market. Printed in Mauritius in 1847, the Penny Blue stamp immediately became a collectors’ item because of its inscription. A mistake by the engraver resulted in it reading “Post Office” rather than the usual “Post Paid”. From the thousand stamps printed at the time, only twelve are believed to be in existence today. The Penny Blue stamp is as rare and highly collectible as this small batch rum.